the state of not supporting or helping either side in a conflict, disagreement, etc. ; impartiality. absence of decided views, expression, or strong feeling. 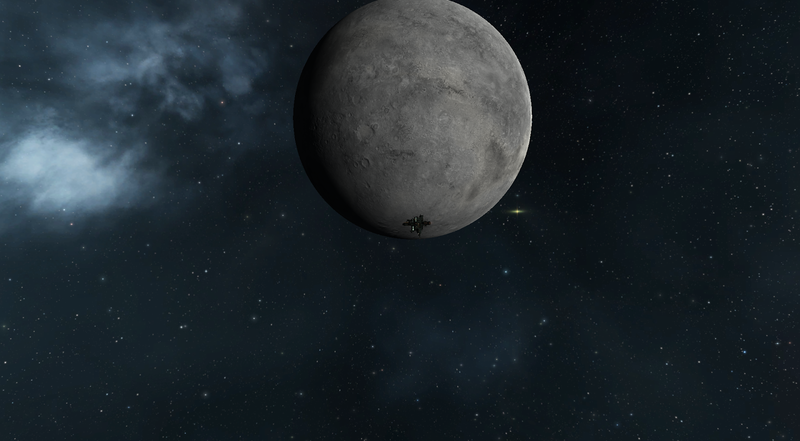 I am a big fan of neutrals and wish it was conceptualized better in Eve. It often feels as if there is a 'them' and an 'us' in the game. But there are also 'those people'. Who are they all? Well, in a lot of ways they are the neutrals in Eve. Some are absolutely hostile. I've smirked a few times when I saw who I purchased something from. I can't not purchase from them. But we can't remove them from our pool of neutrals so its a bit of a mangled mass. I've been asked a few times about Thera's market. Do I want to stock it? What do I think about stocking it? Will it thrive? Will everyone be rich? Speculation isn't my favorite thing. I can't station trade to save myself. But things like market stocking for PvPers I am comfortable talking about. I have lots of little conversations with people who want to try to stock markets. I hug and pet them and tell them that they can do it. I did it and I had no idea what I was doing when I started. It isn't complex it is just a lot of work and continued effort. I'm quick to say that my method of marketing is not the get rich way. I'm not a station trader. I don't buy low and move it to sell high. Instead, I commit to an area and work off of the fact that the community will have needs. A place like Thera will reflect and then magnify this concept. The market is a closed system with more consumers then producers. The problem with setting up a market in Thera is getting the goods to market. You need haulers. You are working with wormholes. For reasons I have not yet come to understand, players love to camp. The concept of neutrality barely exists in this game. "Hi! I'm coming through with a freighter of goods to stock your stations so that everyone can reship and continue to have good fights." "PEW PEW FREIGHTER PEW PEW!" And such another stare is instantly created and ended. I have no problem with killing haulers. It must be remembered that pilot may bring friends as suggested. Or, they may not try it again. One can say, "Use cloaky haulers" and "web them!" or some such thing. It isn't that easy. Those are an option but when we look at the consumption rate of a market for PvPers we have a simple problem of m3. Space. Not the outside one full of supernovas. I mean the space inside of our spaceship that we carry stuff in. I've lamented the woes of stocking a single low sec market. It can easily take two or three trips per session to move the amount of material that I need to move. There will have that problem and it will be harder. Modules at least are small. You can fit huge amounts into agile ships. But when it comes to raw materials it is going to take a while, and I hope not a long time, for Thera to stock itself. Bringing hulls in can happen but it will not be feasible for more then a certain few groups. There is this idea I keep bumping into where people go, "Oh you'll make so much money!" and then they stare at the market person with a huge, hopeful grin on their face. It is as if the entire moving of the stuff and risking of the stuff part just melts into the back ground if they snap their ISK together and demand a market. It doesn't. That person is being asked to dedicate time, assets and a fat, wallowing helpless ship. They will need to have a character dedicated to listing that will probably live there. That character or character's would also need to have refining or building skills. Hopefully, wormhole people will discover a love of mining and compressing that ore and selling it in Thera. It will be interesting to see how and if it pressures the compressed mineral market vs other areas like... say... null. "But Sugar, there is stuff there! It is just expensive stuff! Come get rich!" Let me explain that there is a difference between a market of opportunity and someone dedicating themselves to stocking things for you. The former can happen with anyone passing by. They drop some stuff off, make some ISK, and never the path shall meet. The later will dedicate a large amount of time to managing and maintaining the market. It is absolutely a full time game to do. Add Thera into the mix and they need a large dose of creativity and ingenuity as well. How many of them do we have? The chances are not enough. Those that do are probably committed to their projects. It takes a few months to skill up a solid market alt. Orders have to be maintained. It is not an overnight process. Spaceship violence is one of Eve's draws. It is also one of Eve's greatest hurdles for itself. It is not bad it is just part of the game as well. When asking someone to put that much on the line it has to be worth it. Snapping ISK together and waving it at them does not equate to being worth their time. Eventually? Sure. Thera will wind up with at least one well stocked station and probably two. For now I am helping people develop market lists and brainstorm how and what they can do to get things stocked. It is a challenge for those up to it. I think it could be quite fun. But I feel the fuddy-duddy, leaned back with my jump freighters struggling to shove all of my stuff in to get to low sec. I salute those trying to get it done in Thera. I have no wise words and special tips. It will be hard, there will be loss, and it can be a lot of fun. I hope that an independent market type crops up. One that does it because they want to do it. One that enjoys the challenges and hurdles. And I hope that people recognize the work that these players will be putting into improving the game for themselves and other people because there are much easier ways to make ISK then supplying markets in hostile space. was listening to eve radio earlier today, just after 0000hrs (yes, i jumped on the gift bandwagon,) and listened to some guest speakers talk about Thera. It occurred to me that it would be a great place for the booster market (the drugs) not necessarily the kind of market hub you envision. Yes it will be a good place for boosters. I'm not overly expecting it to become a market hub. More of a place one can hopefully refit and grab some basics. A hub requires a lot of traffic. As a long time wormholer many aspects of Thera both excite and disappoint me. It would have been far more interesting to me if markets could be added to existing POS structures. Some would be honest attempts to sell and buy from travelers, others scams or traps and probably most either ignored or as exclusive markets between locals. That diversity and opportunity is far more interesting than merely being handed fully functional npc stations. I hope when the pos experience is updated that some of the long denied features such as markets become possible. I, a fairly rich trader, haven't even bothered flying to Thera yet and may never bother. The way I see it, supplying the Thera market would be a huge hassle (due to the very nature of wormholes far worse than any low or null market) and far riskier to boot. And I'm a guy who regularly auto-pilots through known gank systems like Uedama with billions in cargo. It is a pity that the MJD of DST are spool up modules. As such they are next to useless in function to save the ship. I while back I took a trip into low as a courier. With the inbuilt stabs plus one more stab enabled me to escape being scrammed. The scram had shut down the MJD - so much for the overheat bonus. But I for one, will not be stocking the shelves. I've never really figured out why CCP kept haulers as cheap as taxis and as fragile as destroyers. They don't really fit very well in the classic ternary in 'space is an ocean' tropes and conventions. If anything, it's that they should serve as a locus for content. I don't think it's interceptors that need immunity to bubbles, but ships with heavily reinforced reactors. Industrial category ships should be the lynchpin in fleet movement and upkeep. They're the ones that need to be sporting remote cyno options, not silly throwaway frigates. They're the ones that need a way to batphone support ships. Imagine if they had a cyno that only allowed smaller ships to warp to their aid. I would love to see destroyer sized industrials, and battlecruiser sized variants, all with appropriate build requirements and stats. They seem like excellent candidates for sporting gang links, or other gang support abilities. I think that is what I'd like to see become of the cyno system - an option where only like-sized or smaller ships can warp to one another for reinforcement. Titan bridges would simply enable supercapitals to not have to slowboat all the time, or be limited to orbital constructions. With the cooldown system, this wouldn't be very overpowered at all. It would be nice if the ship itself didn't have to be fixed in place, but simply ejected a little wormhole out into space, but it might be hardcoded in there.